Located in Annerley, six kilometers south of Brisbane, the Chardons Corner Hotel is a favourite with live music lovers and local punters. The home of Brisbane's best free live music, Chardons Corner Hotel hosts both local and interstate punk, metal and rock bands in the newly renovated Back Room. Come down, grab a drink and get your weekly dose of free metal while showing support for the best alternative bands that Australia has to offer. Chardons Corner also featuring 40 of your favourite gaming machines, two bars, a TAB, Keno and a BWS bottle shop. With promos running throughout the week and weekend, Chardons Corner Hotel offers something for everyone. If you're looking for a local bar to grab a drink or have a punt with mates, why not head down to the Chardons Corner Hotel? With pool tables, dart boards and a fully operational TAB with Keno, our bar area is the perfect place to unwind. The venue also features a gaming lounge, perfect for taking a well earned coffee break! No matter what the occasion, make the Chardons Corner your local today. With friendly staff and a great atmosphere our bar areas will always make you feel welcome. 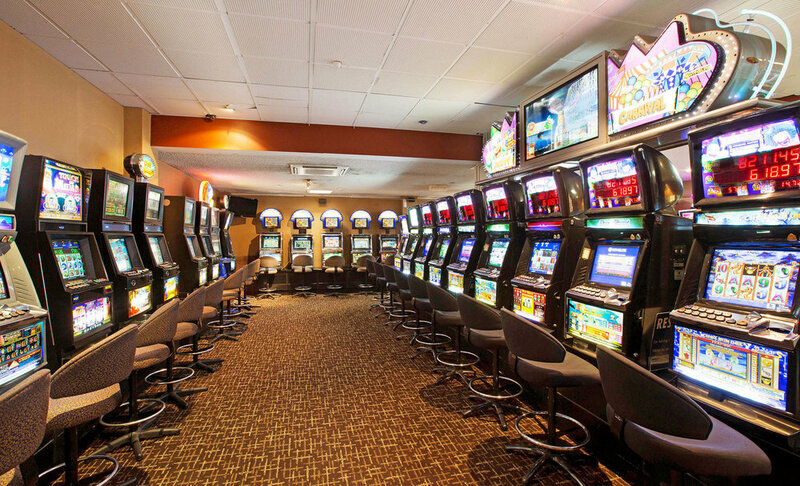 Here at Chardons Corner Hotel our Gaming room features 40 of the latest gaming machines, Keno terminal, and link jackpots including the latest Lightning Link Machines. We have Ticket in Ticket Out system operation on our machines allowing you to move quickly and easily between machines.